A part furnished mid terraced villa located in a very popular location. 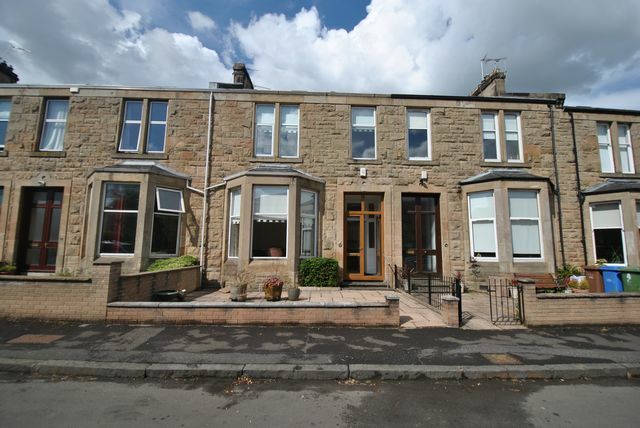 The property is well presented throughout and is a great family home, on the ground floor the accommodation comprises entrance hall, a formal reception room with bay window, a second reception room, shower room and a modern fitted kitchen with separate dining area. On the first floor there are three double bedrooms, a newly fitted modern family bathroom with separate shower and a useful study. The loft has been converted to provide a further bedroom with en suite shower room. The property further benefits from gas central heating, a private rear and front garden and a garage/out house. Cluny Villas located in the popular area of Jordanhill just to the west of Glasgow, there are a number of local amenities close by including shops, restaurants, Victoria Park and Jordanhill School. Transport is provided by Jordanhill Mainline Station with direct links to Glasgow Central low level. This property would suit a family or professional couple and early viewing is recommended.